File photo of Panjab University. 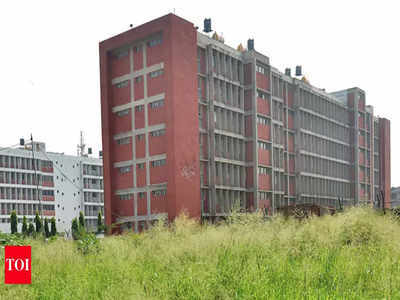 CHANDIGARH: A Panjab University committee on Tuesday discussed the proposal of University Grants Commission (UGC) to introduce 100% online courses and set up a directorate for these courses. Sources said that it was discussed in the meeting that the UGC has proposed setting up a directorate appointing a director, joint director and other staff for the directorate to work on the introduction of the online courses. These courses would be 100% online i.e. students will enroll online for the courses, entrance exam would also be online and the degree on completion of the course would also be given online. The sources said it was discussed in the meeting that if the university sets up a directorate then the departments will be asked for their suggestions to introduce the online courses. After the committee decides on the setting up of the directorate, it will require approval from the governing bodies. “It was also be discussed in the meeting that the infrastructure of University School of Open Learning (USOL) could also be used for setting up this directorate. However, the final decision whether the directorate would work with the USOL or would be a separate entity is yet to be decided,” said a faculty member requesting anonymity. UGC in a circular to the higher education institutions on January 4 had invited applications to start online courses, which will be governed by the UGC (online courses or programmes) Regulations, 2018. UGC has already opened the applications from January 7 this year and the institutions can submit their applications till March 31, 2019. Earlier, the deadline to submit the applications was January 31 but it has now been extended to March 31.